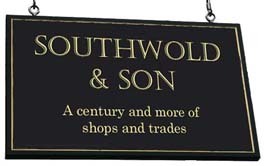 An 'advertorial' piece in the 1903 publication 'Southwold & Neighbourhood' features W H Naunton's business (see below) and mentions his father who 'carried on the same business 70 years ago' - ie 1833. 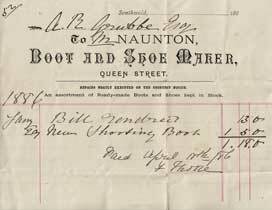 William Henry Naunton - Boot and Shoe Maker. Son of George. (K1896). 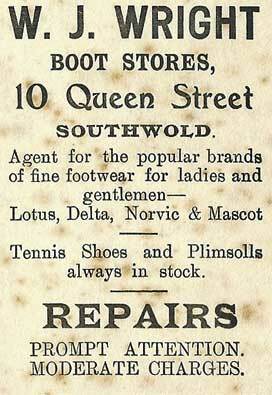 William Henry Naunton - Boot maker and Income Tax collector (C 1911). 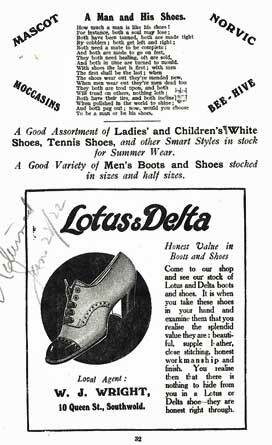 William, who is now 73 and a widower, is assisted in the business by his daughter, Edith Marion, and her husband, Charles John Andrews, as well as by his nephew, Henry Edward Edwards. Bill / receipt dated 1886, issued to Arthur Grubbe, the 35-year-old second son of Southwold's longest-serving mayor, J E Grubbe, whose family had a home at South Green House (now called Regency House and Greyfriars). 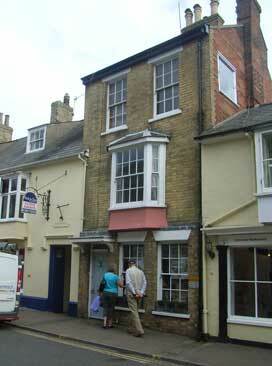 Image reproduced courtesy of Robert Temple. 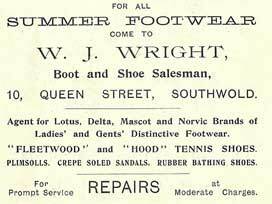 1922 advertisement for W J Wright in Southwold Shopping Week Programme.